RiceBowl.my Malaysia's Number 1 Job Site for Job Seekers. 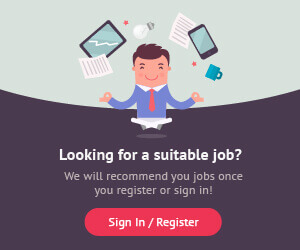 Ricebowl simplifies job searches and application processes for your job-hunting convenience. Job listings are refreshed and updated on a daily basis to ensure you are provided with the most recent job vacancies. Known for our focus and emphasis on Sales and Marketing, Accounting, Human Resource, technical-based positions and many more, guiding you towards the right career path is what we are committed to. Here, we also help employers in simplifying recruitment processes by providing job vacancy advertising, marketing and promotions. RiceBowl.my, your ultimate business recruitment solution!